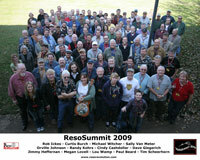 ResoSummit 2009 sold out quickly based on the "first call" email sent on Jan. 26 exclusively to the people on our email list. Use the sign-up box below so you'll get the 2010 first call! 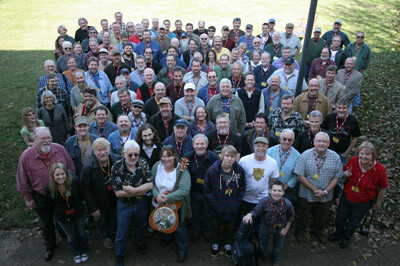 Our tentative dates are Oct. 28-31, 2010, and we will be opening registration in December. Type your email address in the box. To download a high-res version of the above photo (5.43MB), formatted for either 4x6 or 8x12 printing, click on the image, then save the large image which opens in a new window to your computer. To download a high-res version of the above photo (5.88MB), formatted for 8x10 printing, click on the image, then save the large image which opens in a new window to your computer. 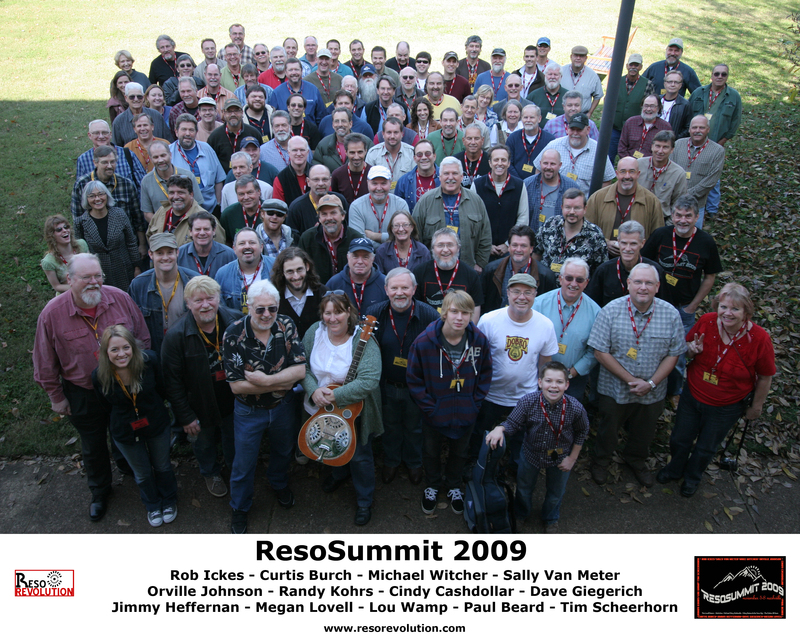 ResoSummit 2009 is now one for the history books! Thanks to everyone who chose to be part of the third Summit. Since it is Total Dobro Overload by design, we hope we sent you home with enough materials, ideas and especially inspiration to make the next year a highly creative and productive time in your musical life. We greatly appreciate your participation and good will. Every year, we leave the Summit knowing that the Dobro truly chooses special people! To download high-resolution versions of the group photo, click on the images at left. 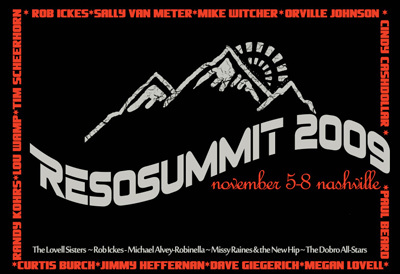 ResoSummit's home is the inspiring and beautiful Scarritt-Bennett Center, in the Music Row - Vanderbilt area of Nashville. Scarritt-Bennett Center is at 1008 19th Ave. South, in the Music Row/Vanderbilt area. Go here for directions and area, vicinity and campus maps. Free parking is available at S-B for all ResoSummit participants; Parking Lot A is the lot most convenient to Laskey, Fondren, and Bragg Hall; Parking Lot B is the one most convenient to Gibson Hall and Susie Gray Dining Hall.